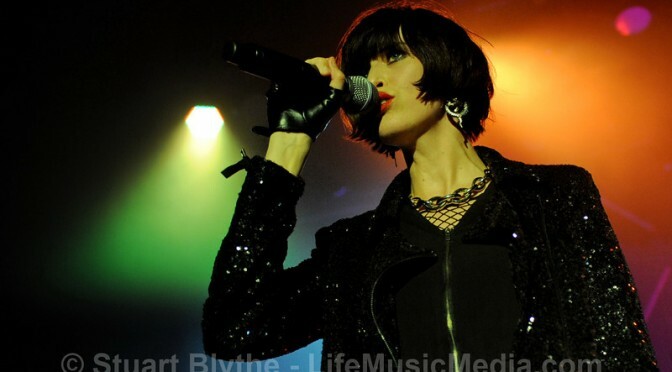 Port Macquarie’s boutique music festival Wildwood has dropped its first major line-up announcement for 2017, topped by The Jezabels, festival favourites British India, “Bad Seed” Hugo Race and Triple J favourite Alex the Astronaut. The long line of people queueing outside the The Tivoli in Brisbane, waiting excitedly to enter the venue was a good indication of the ever growing popularity of headline act The Jezabels. Touring on the back of their latest album release “The Brink”, the band continues to deliver quality music and live shows and tonight we would witness exactly that. 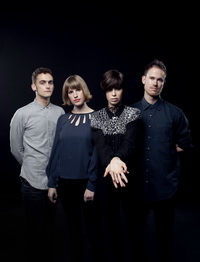 When The Jezabels’ released their debut LP Prisoner in 2011 it quickly received critical acclaim. 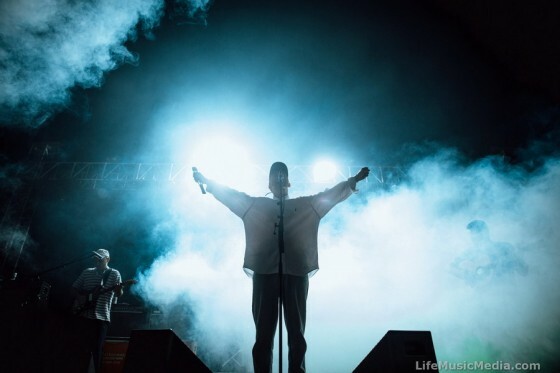 The success of Prisoner elevated the band to new heights, and with that raised success came extensive touring – both nationally and internationally. 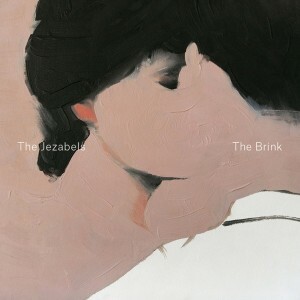 In January 2014, The Jezabels’ will release their new album The Brink, and a solid offering it is. 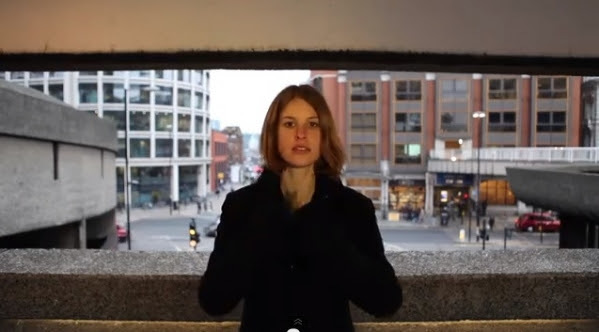 Recorded in London and produced by Dan Grech-Marguerat (Moby, Scissors Sisters, Radiohead, Lana Del Rey, The Vaccines, The Kooks), the band have refined elements of their sound and strengthened the clarity, bringing a more natural live show feel to the album. Moving through soaring highs and delving brooding lows and back again, the album seems to reflect the bands inner space and mindset. Introspective, romantic, reflective. 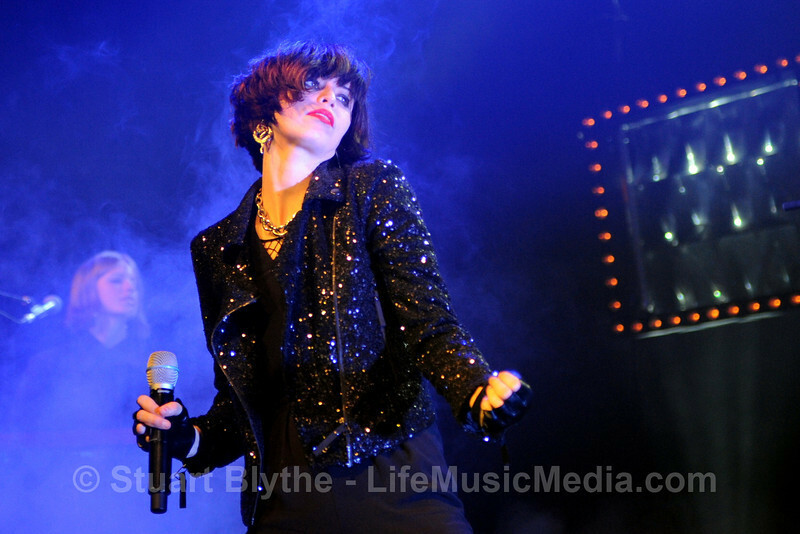 The Jezabels are arch players of this contradiction. With The Jezabels there’s always a twist and they delight in toying with the darkness that somehow cloaks us all and yet channel it into songs that are layered with bright, chiming seams of pop. 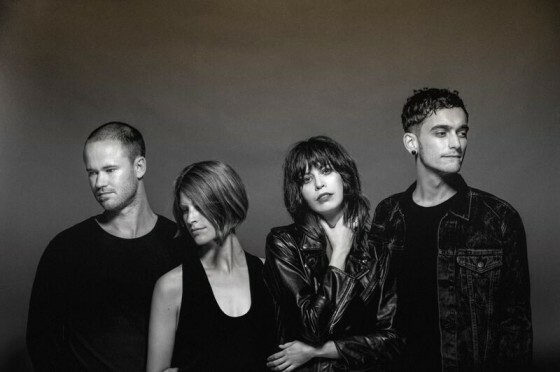 It has been a bumper summer for The Jezabels with ARIA and APRA Award nominations and AIR Award wins for their ARIA #2, gold selling debut LP Prisoner, and record audiences at the Falls Festivals and Big Day Out shows nationally. 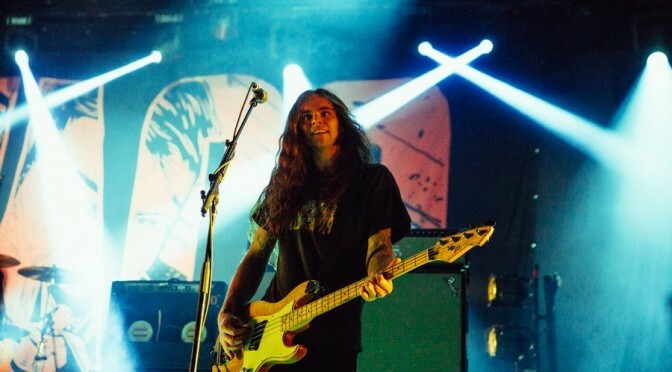 They took home the gong for Album Of The Year at the 2011 Rolling Stone Awards, secured a number 10 position with their single Endless Summer in the triple j Hottest 100, and have been short listed for the AMP Award. In 2012 they continue with their relentless schedule of international touring and will see the release of Prisoner in the US, UK, Europe, Asia and Canada after already playing sold out shows in those territories. 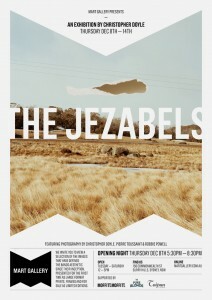 Though Christopher Doyle is an internationally recognised and awarded designer – in 2009 he was named one of InDesign Magazine’s Top Ten Faces and Forces Of Design – fans of Sydney band The Jezabels will know him simply as the man responsible for the band’s stunning CD artwork, images of which will be on display at Mart Gallery this December (2011).